Let’s face it, bringing a group of people together can be an ambitious undertaking — especially when it comes to the careful organisation and execution of events and group travel. Whether an event or meeting is smaller in nature or large-scale, the process of vetting and booking an appropriate venue space has, until now, been a somewhat notorious point of contention for event planners and hoteliers alike. Luckily, 2019 has been positioned as an especially promising year for the hospitality industry — specifically, the groups and meeting segment. Global meeting activity is projected to grow over 1.3%, while attendees, meeting length and budget allocation are also expected to increase. In fact, planners expect the estimated cost per attendee, excluding air costs, to be between $1,200 and $1,700 depending on the meeting type. Further, we can expect to see a 2.4% increase in the average hotel average daily rate. This expected momentum brings with it an exciting revenue opportunity for hotels, while also inspiring the widespread adoption of next-generation venue management software to better streamline the group booking process. With this in mind, we’ve compiled a list of the latest venue management technologies that will dominate in 2019. While a fast and efficient online booking process has long since been established for transient business, the appropriate software (with robust capabilities) for group booking has seemingly lagged behind. Not only that, but the demand for group reservations has notably outsourced the supply, often overwhelming properties with higher-rated transient demand — or an outdated, legacy venue management approach that negatively impacted RFP response. With the implementation of next-generation digital group booking software, planners and hoteliers can finally maximise a system that showcases real-time availability and instant booking/online payment options. This creates an efficient booking process that not only earns global visibility for a venue (and can help yield space and attract last minute reservations) but empowers a self-service element that speeds up the booking timeline. Especially exciting is the capability we’ve all been waiting for — block bookings. With new technology, planners can finally book blocks of rooms at once (rather than individual bookings). This new feature is sure to save modern planners a great deal of time, and frustration, while securing group reservations. There’s a famous saying — “Run the day or the day runs you.” In many ways, this same logic applies to RFP management. Without the appropriate technology in place to effectively sort, prioritise and manage incoming RFPs, hotel sales teams are essentially stuck within a perpetual (and ultimately non-profitable) game of catch-up. With the help of next-generation venue management software, hotels can reduce RFP response times from hours to minutes with instant quotes and automated processes. More importantly, by giving planners instant access to live availability and extensive property details via an easy to navigate online portal, an influx of unqualified RFPs becomes a concern of the past. Modern guests crave a highly personalised experience. The ‘status quo’ of events has become anything but standard — rather, the rule has become the curation of decidedly unique or share-worthy experiences. With this in mind, it becomes increasingly important to implement technology that makes it easy for hotels to cater to planners’ need for customisable options. Finally, hotels can intuitively suggest particular room types, food and beverage packages, upgrade options, extended packages and rates to prospective planners. With menus, packages and accommodation rate plans curated within the platform, adjustments and customisations based on specific group needs become easy (and more importantly, quick) to implement. One of the many benefits of digital booking software is the capability to offer a virtual experience that helps to expedite the venue vetting process. 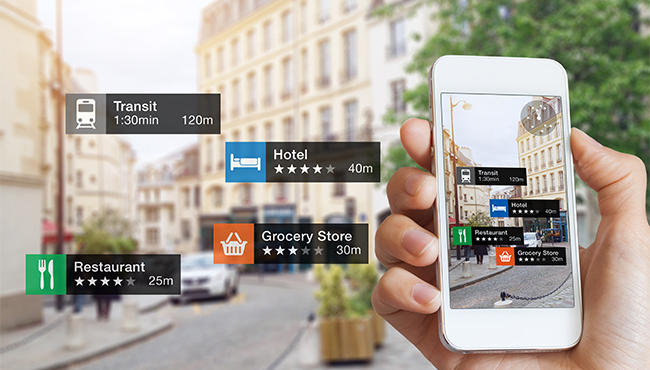 With the help of 3D virtual tours and — as the technology emerges — the potential of virtual reality-based tours, planners can explore a venue’s potential without even stepping foot on the property. Millennials especially crave a seamless transition between physical and virtual experiences. By this, we mean that technology is equally important as the provision of high-touch, personalised and face-to-face service, depending on the touch-point. As next-generation venue management technology helps to offset much of the timely administrative tasks associated with the group booking process, sales teams are finally empowered to offer a higher level of service. This creates a seamless and efficient online experience and a highly personalised and attentive offline experience with hotel sales teams. Modern planners can establish a more hands-on and positive relationship with venues which, in turn, supports their ability to curate unique group, event or meeting experiences.